Odin, Feldman & Pittleman, P.C., a full-service law firm located in Reston, Virginia, serves clients in the Washington, D.C. metropolitan area and throughout the nation. Established in 1972, we have grown to more than 60 attorneys who offer experience in practice areas spanning the legal issues facing the businesses, non-profit organizations and individuals we serve. Our clients appreciate our accessibility, responsiveness, versatility and creativity. Our keen insight of how legal issues impact your business, life, and bottom line, combined with our commitment to protect your interests, has fostered relationships that span decades. Many of our attorneys have worked at Odin, Feldman & Pittleman, P.C. a majority, if not all, of their careers. One reason for this is each attorney may choose their own practice areas enabling them to pursue areas that interest them. Even our Associates work on meaningful cases, gaining a lot of experience early in their careers. The Story of Odin, Feldman & Pittleman, P.C. 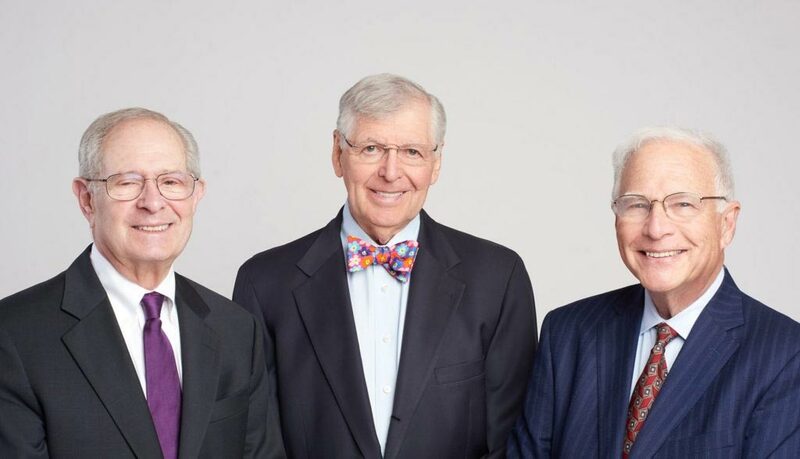 In 1967, when Dexter Odin was working as Fairfax County’s first county attorney and hired David Feldman as an assistant county attorney, neither could have imagined that was the beginning of a partnership that would span more than half a century. Both Dexter and David left the county attorney’s office in 1968 to work in private practice. Over the next few years, they established themselves in real estate, zoning, personal injury, wills and general litigation. In 1973, Jimmy Pittleman left his role as an IRS revenue agent to lead the firm’s Corporate, Tax and Finance practice, and in 1976, the firm officially became Odin, Feldman & Pittleman, P.C. The firm relocated to Fairfax City into an office building on Lee Highway within a block of the Vienna metro station in 1990. Over the next 20 years, the firm grew to over 50 attorneys and more than 70 support staff. When it came time in 2010 to identify a new location to accommodate the growing firm, the attorneys targeted the burgeoning region of western Fairfax County, finally settling on an office in Reston, VA, just a block away from the Wiehle-Reston Metro Station on the Silver Line.